Kalank Title Track Lyrics by Arijit Singh is new song from the movie Kalank starring Madhuri Dixit, Sonakshi Sinha and Alia Bhatt. Its music is given by Pritam and lyrics are written by Amitabh Bhattacharya. 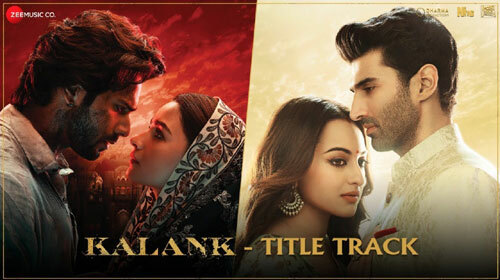 If you find any mistake in lyrics of KALANK TITLE TRACK LYRICS – ARIJIT SINGH song please let us know in comments.